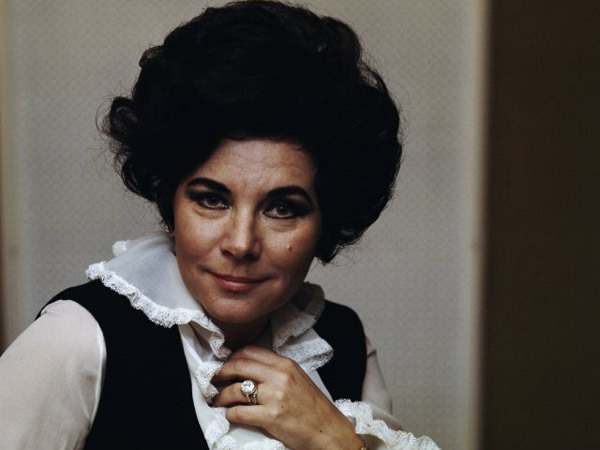 Renowned American Soprano Evelyn Lear died in Sandy Spring, Maryland at the age of 86. Born in Brooklyn, New York her exposure to music began in the home. Her mother was a professional singer and her maternal grandfather had been a Jewish cantor. While studying at the Julliard School of Music she met baritone Thomas Stewart. In 1955, the two were married. The couple travelled to Berlin, looking for more opportunities for study and work. Both became members of the Deutsche Oper and in 1959 she made her opera debut in Ariadne auf Naxos. The next year she took on one of her most noted roles. Roger Pines, of the Lyric Opera of Chicago, said of her “She had it all: Beautiful woman, very fine actress, wonderful with languages.” She continued to work in Germany and in 1965 she returned to the United States to debut in her native land. Her American debut was in Kansas City as Cleopatra in Giulio Cesare. She went into retirement in 1985.